De Roemeense componist George Enescu (1881 / 1955) schreef veel kamermuziek waaronder werken voor viool en piano. Enkele van zijn fantasierijke composities worden schitterend uitgevoerd door de in Nederland opgegroeide Engelse violist Daniel Rowland en pianiste Natacha Kudritskaya uit de Oekraïne. In deze Youtube geen werk van Enescu maar een compositie van Gershwin waarin het duo duidelijk schittert in een doortastende uitvoering van ‘It ain’t necessarily so’. 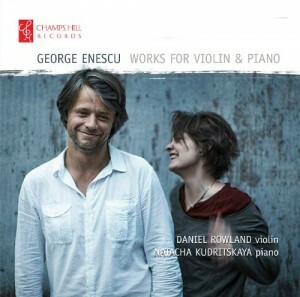 The Romanian composer George Enescu (1881/1955) wrote a lot of chamber music including works for violin and piano. Some of his imaginative compositions are beautifully performed by the Dutch/English violinist Daniel Rowland and the pianist Natacha Kudritskaya from the Ukraine. George Enescu was a Romanian violinist, composer, conductor and teacher (educated the young violinist Yehudi Menuhin) who studied by Jules Massenet and Gabriel Fauré in Vienna and later Paris. His compositions show characterics with Late Romantic style, the French music from the early 20th century, with its frequent use of chromatics and Romanian folk music, which you hear in the ‘Violinsonata No 3 in A-Minor Op. 25‘, the opening piece of this wonderful CD. The gypsy scale, Romanian themes and the way of playing show a Romanian (Gypsy) signature which is amazingly energetically and subdued. 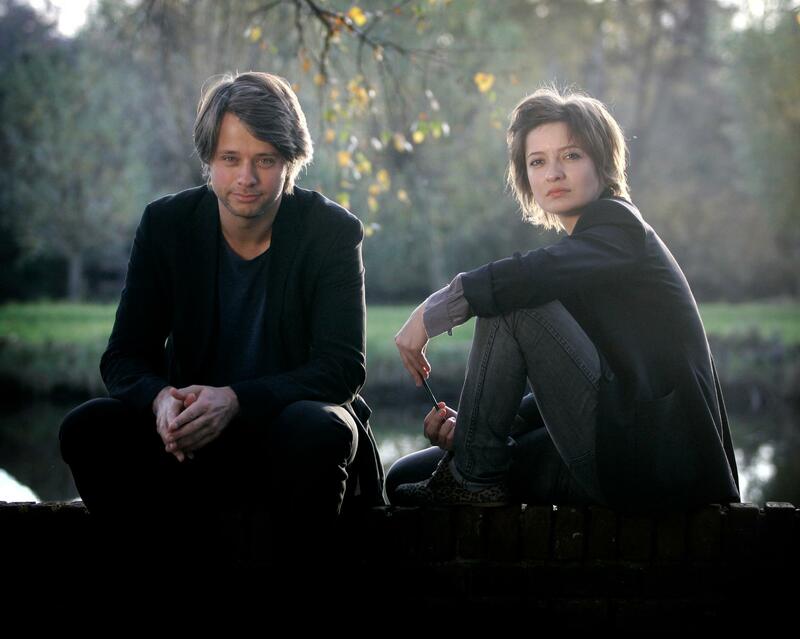 The duo Daniel Rowland / Natacha Kudritskaya performs the compositions with energetic precision. The implementation is very accurate. That musical approach is delicious and inextricably linked to the listener. Intimate passages also sound really pleasing and intimate while the dynamic parts are energetically excellently and lively. Like his youth work, the ‘Violin Sonata in F minor. opus 6‘, that Enescu wrote when he was 17 years old. The last piece ‘Impressions d’Enfance’ reflects on his childhood, on the magical but also bleak side of his early years when his mother told him not to play with other children, afraid as she was that we would become sick. The capricious composition opens with a distinctive violin solo. The piano enters in a lovely and fine played twinkling mood. This composition reflects the uncertainty as well as the continuation of one of the most remarkable composers from Romania in the 20th century. Picture Karin van der Meul.